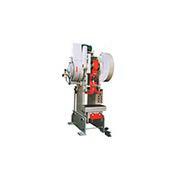 Are You Looking For A Good Used Punch Press Machine? 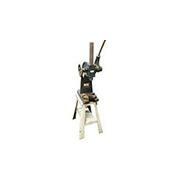 We have dozens of Punch Presses for Sale in stock. Also known as Open Back Inclinable Presses are the most popular and use a die and a specified tonnage to press your part into a multitude of shapes. 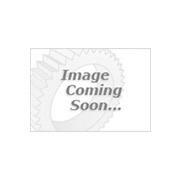 These are usually flywheel presses, which use a large flywheels to generate the energy needed to press your part. 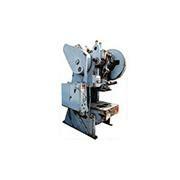 Are large bed machines that are used in the automotive industry that stamp sheets of steel. They are used in high production factories. There are a few types of clutches for Presses such as hydraulic, mechanical, air clutch, air trip, and Hydra-Mechanical. Straight side presses have supporting columns in each corner of the frame suspending the crown over the bed. 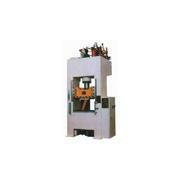 The straight side press features improved durability and reduced deflection. A small hand operated press. It is usually used to do smaller jobs, such as staking, riveting, installing and removing bearings and other press fit work. They are usually rated by the maximum load they can apply. 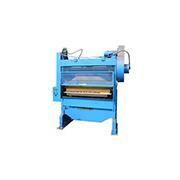 Clicker Presses are used for a variety of applications. The most common are diecutting applications. 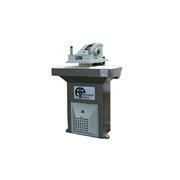 From soft to semi-rigid material such as cork, leather, rubber, elastic and foam can be cut with a clicker press. A Press is a machine with a stationary base and an upper ram that moves along a vertical axis to shear, bend, or form sheet metal.